I just want to thank you for all your help with my ITB. 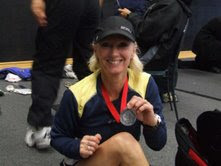 I wasnt sure if i would ever get to do the Rotorua Marathon but for 13 weeks of pain i never gave up hope. With your help and the help and support of fellow runners i got there in a time of 4hrs 12mins and 17 secs.